Running a marketing blog as a part of a marketing campaign is practically a requirement in today's modern world - particularly as Google changes the very foundation of what SEO stands for on a regular basis. One of the many things that Google looks for when ranking sites is how frequently they're updated. A steady stream of fresh, trustworthy and high quality content will always rank higher than a page updated once a year. This describes a blog pretty efficiently. However, you may not always have time to pen every single entry on a blog yourself. For those situations, guest blogging can certainly come in very handy for a number of reasons. As its name suggests, guest blogging involves "making a meal" out of the fact that you are not the one writing a particular blog entry. Not only do you get the benefit of being able to take a day (or week) off to catch up on your backlog, but you also get a huge amount of new attention to your blog thanks to the presence of your guest. For starters, perhaps the biggest benefit of guest blogging is that it can help generate a whole new level of traffic for a site. This is especially true if this guest blogger already has his or her own following, so they'll be bringing their own audience to your site for the first time. While most of those new visitors will likely leave again to follow the guest blogger across the Internet, many will stay. Another one of the major benefits of guest blogging is that it helps you build your authority in more ways than one. If the person that you're having guest blog for your site is well-respected, the very fact that they're contributing a piece to you at all only serves to lend some much-needed credibility to your enterprise. This is particularly true if you're just starting out. Another one of the reasons why guest blogging is so beneficial, particularly in terms of marketing, is because it helps build authority where it matters most - search engines. Gone are the days where you can just stuff a site with keywords and instantly fly to the top of Google results. Google emphasizes pages that are trustworthy over all others now and guest blogging is one of the single most efficient ways to get in on some of that action for yourself. By showing that your site is not only regularly updated with high quality content but also pieces from different authentic, trustworthy voices, the general rank of your entire enterprise will only rise as a result. This means that there will naturally be more eyes on your marketing blogs, which only means increased revenue as a result. These are just a few of the reasons why guest blogging is, and will remain, a marketing best practice moving forward. 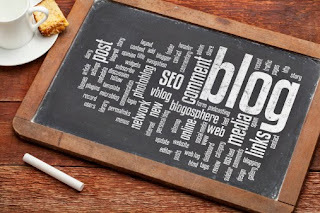 Leveraging the power of search engines is all about authority and high quality content - guest blogging is able to deliver this to you in spades. If you're the type of person who could use a little extra time to keep that steady stream of content flowing, guest blogging also makes perfect sense from the standpoint of your own productivity and efficiency at the same time. There really is no reason why you shouldn't be exploring this with your marketing materials.